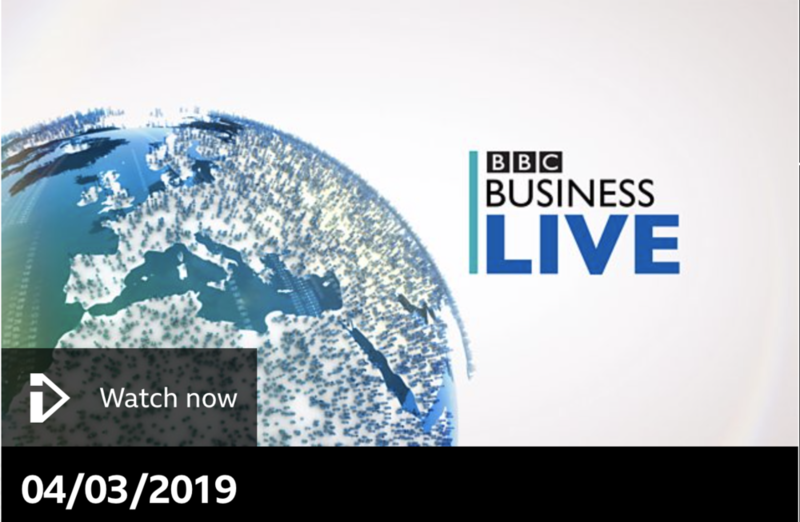 Maform CEO Peter Molnar was invited to BBC Business Live’s Inside Track to talk about trends in design and how they built Maform from the ground up with co-founder Geza Csire. Video footage can be viewed from inside the United Kingdom using the link below (https://www.bbc.co.uk/programmes/b0c54mjx). For our followers from outside the U.K., we have summarized the interview in this article. 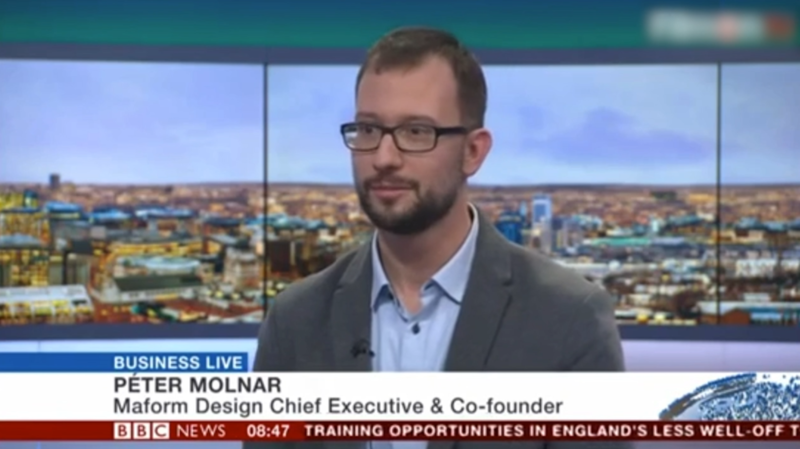 Maform CEO Peter Molnar was interviewed by BBC reporters Sally Bundock and Ben Bland . Sally: Industrial design is a process of design applied to products manufactured through mass production Over the years, it has produced everything from the jumbo jets right through to the humble paper clip. Ben: Now there are the 3D printing, the internet of things and the developments in life sciences technology changing the nature of industrial design. 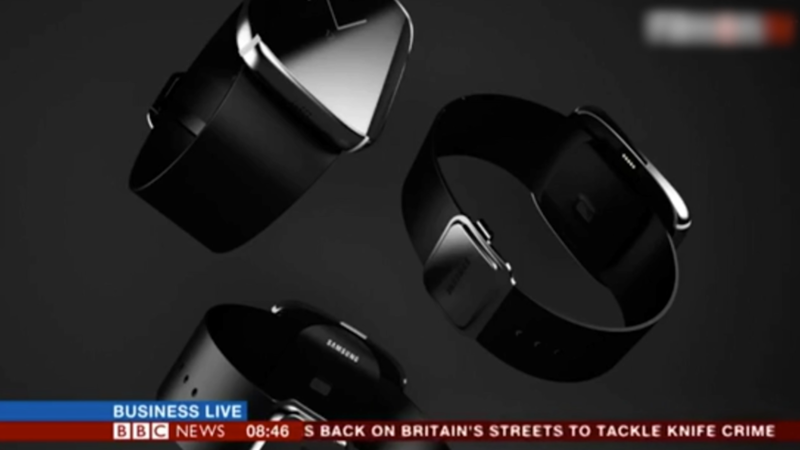 Maform design is one company designing new products inculding the Galaxy Gear Edge smart watch and new transportation designs. Peter Molnar who is chief executive and co-founder of maform design is with us in the studio, welcome to the program! Just tell us Peter, how is all began? We’ve alluded to the fact that it was pretty tough at the start. Peter: Yes, it was. After graduation we wanted to find a job in desing, like a proper job in the studio or similar but we couldn’t with the co-founder Geza. We met after a year and we decided we create our own company and have a good job. But we had no connections, no money, no business education, no business experience. B: So what was the breakthrough moment? P: Well, I think the first breakthrough was the decision to start the business and then after we started it took us more than two years to reach a point where we could be approached by a bigger company. And we had a design, a bus design for the Castle area in Budapest, and we were approached by a Hungarian company who was about to manufacture a bus, but their design wasn’t perfect, so they contacted us and bought our design. S: And that was the big breakthrough, wasn’t it? Because it is the first electric bus I believe in the world. The design for an electric bus was actually taken up and became an operational bus in the city. P: It’s a first ever electric and fully composite body bus. So it has a plastic body and this means it’s range is bigger than standard steel buses. B: And now I ask you to give us a little glimpse of what are you working now What is the most exciting thing, that is not quite ready but we might see soon. P: Our most recently published design is the hexa aircraft for Lift Aircraft. That you already mention it is a passenger drone. But we are also working on really interesting engineering developments. We are patenting a cogwheel connection that can revolutionize the watch industry. S: How has design changed? Because it’s gone trhough an enormous revolution in recent years partly because of 3D printing but also because of our appetite as consumers for things like Internet of Things, smart devices, I mean the passenger drone is kind of like the pinnacle, isn’t it? But just things we’ve got on our wrists on our bodies. Design has changed so dramatically. P: I would say the change is in the approach. So when industrial design began its journey, it was all about designing some enclosure for a machine in order, not to cut your fingers. And later ergonomics were applied, and there was this big argument about functionality and aesthetics: which is the more important. But today the central issue that design has to solve is the connection between the machine and the person who is using it. B: What is the best, your favourite example of design? It could be something your company has made, it could be something you’ve encountered and thought: I wish I’d come up with that. P: It is a really good question. I would say one of our favourite design is the hematology anlalizers we designed. It’s something that issues a problem. Hematology analysing is a long process. It is a blood test. You give a blood sample and than it is sent to the laboratory and then you get the results and you get the medical results. But with this new design you could do blood tests on the spot. It makes it quicker. B: That’s an example of design really effecting people’s lifes in a very-very direct way isn’t it? S: I presume baked beans are now off the diet then Peter, are they now Things are getting better. Thanks for coming in, it was good to have you on the program. B: Thank you very much Peter.